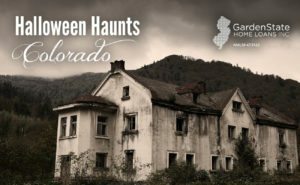 Here is your guide to the spookiest haunts in Colorado. The 13th Floor Haunted House has two different attractions, Undead: Abominations and Cursed: The Ritual. Explore subterranean labs in Undead: Abomination. Corpses and other mutations are now terrorizing the dark passageways and are looking for a way out. Try to find your way out of the grounds. Travel to a time of voodoo in Cursed: The Ritual. Be careful not to upset the witch or her zombie slave. HellScream Haunted House has been named one of the scariest haunted houses in Colorado as well as one of the Top Haunted Houses in the United States and has gained accolades from NBC, CBS, ABC, and FOX. This haunted house is created by film, television, and special effect professionals. Get the haunt of your life with custom special effects and detailed sets. Dark Side of the Abbey is held in the Holy Cross Abbey, a building that has been deemed haunted by multiple sources. For the 2017 season, the Dark Side of the Abbey becomes the Insane Asylum. For those who are not looking for the fright of their life, the first phase of the night is never haunted, even after dark! However, afterward where the haunts begin. Phase two and Scream Acres are filled with special effects to leave your heart racing. Scream Acres has two different attractions: Ghost Haunt and Zombie Paintball Slayer. Ghost Haunt takes you to an abandoned ghost town. Make your way through the town and hunt ghosts. Zombie Paintball Slayer is exactly as it sounds. Travel through cornfields to an area loaded with targets and props for the ultimate Halloween paintball experience. City of the Dead is the longest and largest indoor haunted house in the Denver area, at 30,000 square feet. There are three different attractions for you to choose from, each packed full of vampires, demons, zombies, and other undead creatures. Not only has City of the Dead been rated as the best Denver haunted house for nine years running, it is also ranked as one of the “Must See Top 31 Haunted Houses in the Nation”.